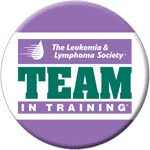 I started this running blog as I was training for the Big D 1/2 marathon as a member of Team In Training, benefiting The Leukemia & Lymphoma Society (Go TEAM!). 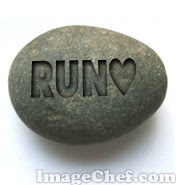 I met soo many wonderful people along the way -- survivors, TNT members, running junkies, fellow bloggers. Now I'm just working towards my next running adventure, whatever that will be ... Until then, I've been trying to keep myself together with pilates, naps and chocolate. Click the button to learn more about TNT! Thanks again to my rockstar donors who helped me to raise over $1800 for TNT! Yep, a baby on the way! He's actually due this coming Friday, so I feel like a walking time bomb. Maybe he'll make a fourth of July appearance ;). He's also a big reason why I wanted to come back to this blog -- I'm going to need a TON of motivation to drop the baby weight! And while I've been gaining, hubby's become quite the runner. I probably won't be back to this blog until after baby, but looking forward to catching up with everyone else's stuff in the meantime! Oh WOW! 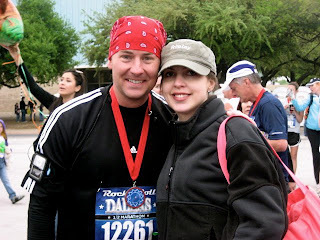 It seems like everyone I finished an Ironman someone I know is having a baby! Congrat! I've been busy with all the labor epidurals and C-Sections today at the hospital where I work. It's great to hear your Baby News. I was wondering what happened to you. Can't wait to hear how the birth experience went for you. Best Wishes. Looking forward to hearing many more adventures from you. If Theres One Thing I Know. Louis's TNT Ironman Training - From 26.2 to 140.6 in 9 months! I am moving for the next 10 months. Next Stop: Scenic Shore 150!